Waiblingen-based ANDREAS STIHL AG & Co. KG honored five suppliers with its "Supplier of the Year 2017" award. ANDREAS STIHL AG & Co. KG is the world's leading manufacturer of chain saws and also produces many other outdoor power tools, including trimmers, brushcutters, cut-off machines as well as blowers and sprayers. The certificates that go with the awards were presented at a special ceremony on June 5 by Dr. Bertram Kandziora, chairman of the executive board and board member responsible for manufacturing and materials. 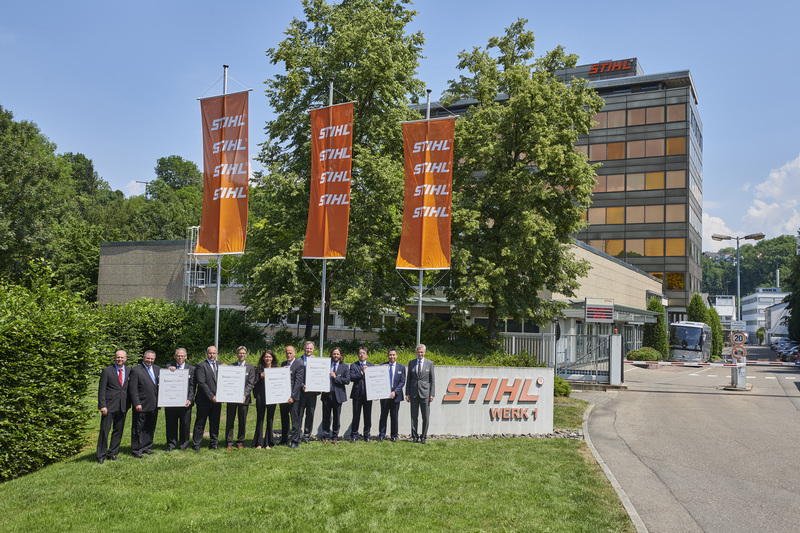 STIHL has presented the "Supplier of the Year" award to a total of 105 suppliers since 1990. Twenty-two of those companies have won the award twice, nine have been honored three times, two four times and one supplier five times. The assessment criteria for the award were outstanding accomplishments with respect to quality, technology, innovation, service and price-performance ratio. The "Supplier of the Year" award spotlights the suppliers who have supported STIHL in a special way with their high supply quality, punctual deliveries, flexibility, cooperation and special know-how. STIHL chairman of the executive board Dr. Bertram Kandziora (on the right) with the suppliers of the year 2017 (from left to right) Mi-T-M Corporation, REINZ-Dichtungs-GmbH, WORKS Kiefner GmbH & Co. KG, ELRAD International d.o.o., Sony Corporation.